PEOPLE in Salford are being encouraged to share skills and make time for each other following the launch of an innovative new scheme part funded by the team behind the £650 million regeneration of Pendleton. The Salford Time Bank involves local people and community groups coming together to lend each other a helping hand. No money changes hands: the only cost is people’s time. Time Banking strengthens communities by drawing people together and by developing mutual friendships and support. The Time Bank enables its members to exchange their variety of skills and abilities that can be put to good use in Pendleton. The members can “clock in” to help out a neighbour, improve community spaces, or even develop a new local enterprise. Co-ordinated by Unlimited Potential, a Salford-based social enterprise, the Salford Time Bank is funded by Salford Clinical Commissioning Group and Newground Together – a member of the Together Housing Group. 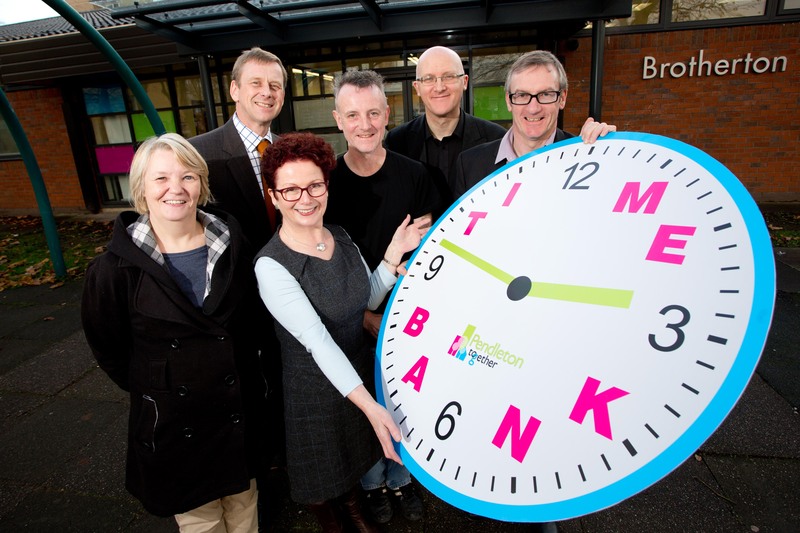 The Time Bank was launched by Hazel Blears, the Labour MP for Salford and Eccles, recently, who joined local Time Bankers and partners in the scheme. Ms Blears said: “Many people do not appreciate how much difference an hour of their time could make in their local community. “Time Banking is a fantastic way of enabling residents to share their different talents and skills - and sometimes a friendly ear is all it takes to brighten a neighbour’s day. George Paterson of Together Housing Group, said: “The ethos of the Time Bank sits comfortably within our ambition to have everyone working collaboratively to help enhance Pendleton’s thriving community. Already 14 local residents and various local organisations, including the Salford Clinical Commissioning Group, Newground, Salford City Council, Langworthy Cornerstone, Lark Hill School, local carers’ groups, Unique Improvements and the University of Salford, have pledged their involvement. Chris Dabbs of Unlimited Potential said: “The idea is simple. Time is valuable and this means it can be put to good use. Everyone involved brings different skills and experiences which can be easily put to good use in Pendleton. Pendleton residents Sandra Evans and Harry Melody are just two local people who have signed up to the Salford Time Bank. Membership of the Time Bank is open to everyone who lives in Pendleton and the wider Langworthy ward.